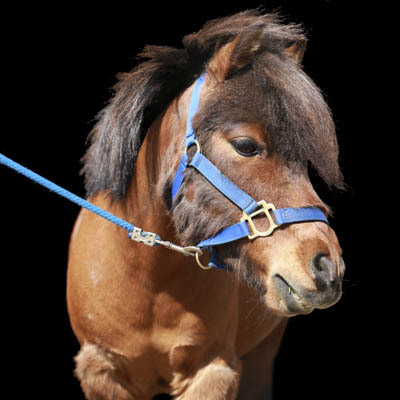 Hot Wheels is a Bay Miniature Horse Gelding and he stands at a mighty 8HH. Hot Wheels was born in 2006. Hot Wheels has been at PARDS since 2009. He was donated by Rhonda-Lynne Lanctot. Hot Wheels acts as our ‘official greeter’. Pull into PARDS and his face may be the first thing you see. Hot Wheels is the main member of our Cart Driving Program. Cart Driving is offered to clients who cannot take part in horseback riding due to a disability that has a contraindication to riding, or a weight issue. It is also offered to clients who are looking for a different or additional challenge.